This year NVIDIA started selling its first consumer device with the launch of the NVIDIA Shield handheld game console. But word on the street is that it won’t be the last — not only does the company plan to introduce new Shield consoles with the latest hardware eventually, but NVIDIA may also be working on a line of tablets featuring NVIDIA Tegra processors. Meanwhile Amazon may also be in the market for new tablet processors. Every Kindle Fire tablet released to date has shipped with a Texas Instruments chip, but TI isn’t making consumer processors anymore. There’s a rumor going around suggesting that Amazon is looking to Taiwanese chip maker MediaTek to supply processors for at least some of its upcoming tablets. 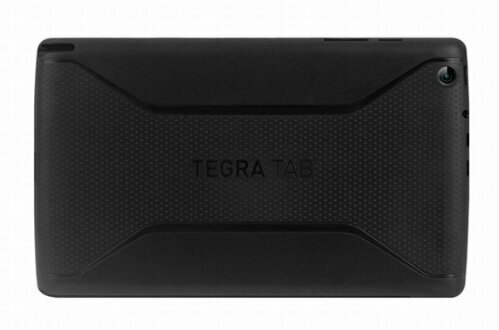 Update:The Verge reports that images of a Tegra Tab are making the rounds on Chinese sites, and NVIDA filed for a trademark on the phrase “Tegra Tab” a few months ago. Neither Amazon nor NVIDIA have confirmed these rumors, so take everything you’re about to read with a grain of salt. While the NVIDIA Shield is a handheld game system, Fudzilla reports the company is also planning to launch a more traditional looking tablet next year. It’ll likely feature an NVIDIA Tegra 5 “Logan” processor with Kepler graphics, and it’s expected to launch in the US and Europe at the same time. The company may also be working on 7 inch tablet with an NVIDIA Tegra 4 processor and stylus support — although that model might just a prototype that the company uses for internal testing purposes. Either way, if you’d asked me a few years ago if NVIDIA would put out a tablet under its own brand name, I would have said the chances were slim to none. But as NVIDIA has made the leap from a company best known for designing PC graphics chips to one that plays heavily in the mobile space and which is focusing on mobile gaming and hardware, I wouldn’t be surprised at all if the Shield was just the first of many consumer electronics devices to feature the NVIDIA name. As a general rule, I tend to ignore most things I read on DigiTimes. The site has a pretty hit or miss track record of predicting industry trends by looking at orders placed with Taiwanese parts suppliers. But technically the report that Amazon placed an order for MediaTek MT8135 chips comes from China’s Economic Daily News, not DigiTimes. The latter publication is just summarizing the news from the Chinese-language paper. It’s not clear if Amazon plans to use MediaTek chips in all of its upcoming tablets or just in some of the lower-priced models. But the MT8135 seems like a pretty good choice. The processor features 2 ARM Cortex-A15 processor cores and 2 ARM Cortex-A7 cores, paired using ARM’s big.LITTLE technology. This allows the chip to rely on the high-performance Cortex-A15 cores when they need all the power they can use, while relying on the lower-power Cortex-A7 bits for basic tasks in order to prolong battery life. Since it’s unlikely that Amazon would release another tablet using the same Texas Instruments OMAP4 chips it’s been using for the past few years, MediaTek seems like as good an option as any chip maker. The company is known for making processors that offer moderate performance and low prices — something you could also say about the Kindle Fire line of tablets. ohh boy, the NVIDIA tablet news is something i’ve been waiting for since new Nexus 7 rumor started a few months ago. i really hope they will make it and price it like Nexus 7 (in another words, not overpriced). imagine a Nexus 7 like tablet with micro SD slot.